The governing coalition is “failing” the country at everything including its defence against the Dutch government’s increasing demands, according to the party board. “It is still blackmail, no matter how you twist and turn it … we wonder how much longer the so-called ‘patriots’ of the governing United Democrats and Christian Party coalition will tolerate what is happening. And if you are wilfully tolerating it, then you might as well tell the people the truth that you are giving away their country,” the opposition party board said in a statement issued Tuesday. The Dutch government has told the local government that Members of Parliament must take a salary cut for St. Maarten to get further liquidity support from The Hague. This, among other demands, to the cash strapped government, has the party board miffed. The party is represented by two MPs in the legislature – Frans Richardson and Rolando Brison. “They [the Dutch government] want to be part of the discussion about our government-owned companies, our institutions and more. Under whose authority you might ask? 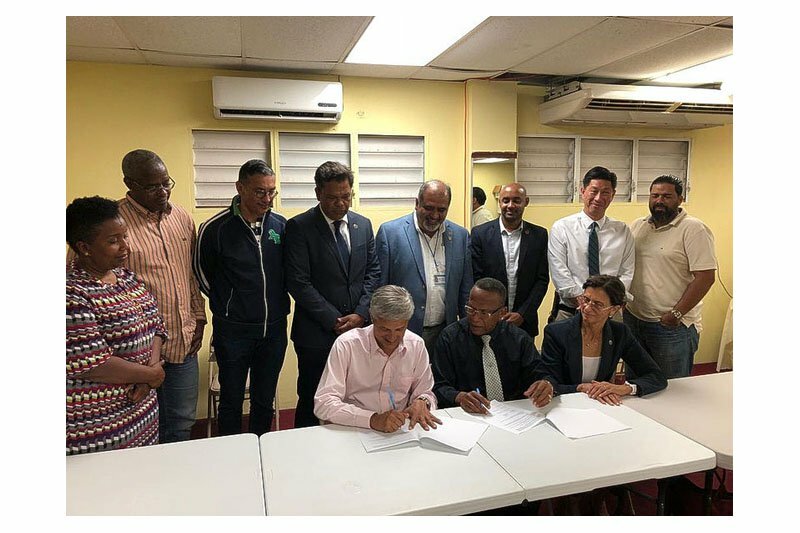 The authority given to them by the UD/SMCP coalition who apparently was elected to answer to the politicians in Holland, not the people of St. Maarten,” said the party board. Some coalition MPs “talk a good game” in Parliament, “even admitting that MP William Marlin [National Alliance] was right about the intentions of the Dutch, but not one has shown any fortitude to say to their appointed ministers and their prime Minister in particular, that enough is enough,” said the party board. Dit bericht werd geplaatst in _Nederland, _Sint Maarten, Politiek, SXM-Daily Herald. Bookmark de permalink . To be honest I don’t see any problem with any attempt of The Netherlands to take back control of Sxm. The last years have seen such a dramatic decline in governance with almost halve of politicians being criminally convicted its about time that SXMs big brother take back control and restores law and order to prevent SXM from becoming another Haiti in a few years. If you ask the “normal” people in the street this will have a lot of support! !